Nokia today presented the Nokia 6600i slide, a timeless beauty for imaging and sharing. The beauty is Nokia’s smallest 5 megapixel slider to date, and having it in your pocket you will never miss a moment to bring stories alive with the great snapshots. In addition to its superb imaging capabilities, the Nokia 6600i slide indulges the quality-conscious consumer with its compact and elegant design which it has inherited from the commended Nokia 6600 slide. The brushed steel covers and chrome center key constitute both understated elegance as well as visual simplicity, and discreet tap commands bring the display alive, snooze alerts and silence or reject incoming phone calls. The combination of 3G connectivity and excellent imaging capabilities, 5 megapixel camera with dual LED flash, and bright 2.2” display with 16 million colors, make capturing and sharing of memorable moments via various Internet services truly enjoyable. With an additional micro SD card the memory is expandable up to 16GB. In-box come a 1GB micro SD card and the Nokia stereo headset WH-203 with FM radio. 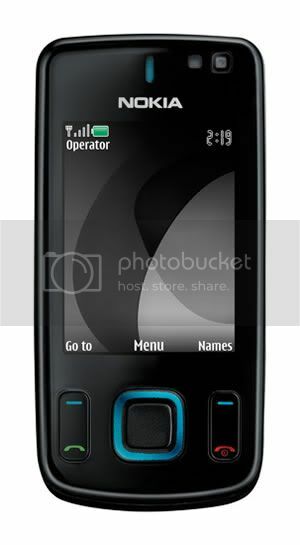 The Nokia 6600i slide has an estimated retail price of EUR 200 excluding taxes and subsidies and it is expected to start shipping in select markets in the third quarter of 2009.